At the closing ceremony of the Kickstart Accelerator EdTech program two start-ups won CHF25’000 each and five start-ups received CHF10’000. However the awards are by far not the only result of the program. More than 20 pilot projects and beta tests were started. And several of the companies from abroad plan to incorporate or open an office in Switzerland after the program. Yesterday the final demo day and the closing ceremony of the Kickstart Accelerator EdTech program was held in Lausanne. Danièle Castle, venturelab program director said “This was the first EdTech accelerator in Europe and we are proud of the achievements of the ten startups: amongst their many achievements, the startups have garnered 5 proof concepts, 14 pilot projects, 9 beta tests, 3 strategic partners and 12 trial launches. Based in the EdTech Collider, the startups benefitted from huge interaction with the ecosystem, as well as high quality support from mentors, experts and businesses alike.” The 11-week acceleration program was operated by venturelab, on behalf of Kickstart Accelerator, together with the Ecole polytechnique fédérale de Lausanne (EPFL). The high quality and great execution of EdTech accelerator delivered its promise yesterday, as seven out of the 10 EdTech startups selected for the program have won prizes in the final pitch session. 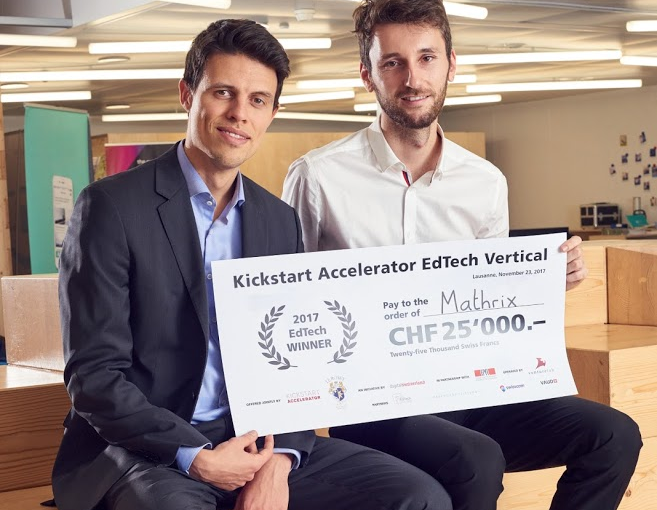 Mathrix (F) and UbiSim won CHF25’000 each. The company started its activities in France. “We are really excited to have won this recognition. With the prize money we intend to incorporate in Switzerland. It will allow us to develop all the disciplines and aim for the million subscribers by end of 2018.” says Filipi Cabalzar. 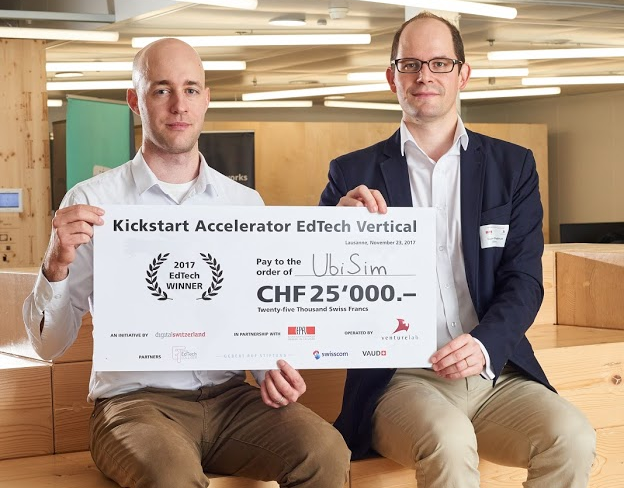 EPFL alumnus Florian Brutsche (Picture left) and Gauthier Dubruel co-founded the Swiss-based startup UbiSim as they identified a huge market opportunity in training nurses. In view of a global shortage of trained nurses and to respond to the need to keep trained nurses skilled and up to date with quality training, UbiSim provides a virtual reality training solution for nurses. Virtual reality is much more cost-effective than current training methods and offers a decentralized training space where procedures can be repeated often and easily. The first blood transfusion scenario developed with respected Institut et Haute École de la Santé La Source in Lausanne is completed and four more are to follow shortly. "The financial support and mentorship provided by the program really helped us to further refine our product offering and business model,” says Florian Brutsche. "Thanks to the program, we have gained even more momentum in our mission to better train millions of nurses!" added Gauthier Dubruel. 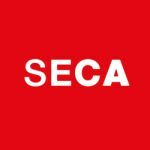 The team will now hire another employee which will allow the company to work on the content of their training solution. The five startups that each won CHF 10’000 are involved in lifelong training (Dual Academy, the Experience Accelerator and InTeach), tutoring for apprentices (Teachy - formerly known as SOS Nachhilfe) and mathematics assistance for high school students (MalMath). Most of the winner will spend the money for marketing and or the launch of their products. InTeach, a company based in Lyon, will also start projects in Switzerland. The CHF 100’000 worth in cash prizes comes in addition to the CHF 80’000 in stipends offered during the program.